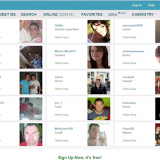 Pof is one of the biggest relationship sites right now and has a huge community of singles. Pof can be used effectively and successfully without purchasing the premium upgrade. Moderation sometimes goes too far - I've had my profile deleted several times and had to start from scratch! People tend to be less serious on free sites - getting people to respond (finding those who are active) is challenging and takes time. An honest main street site that’s probably your best bet right now if you want an online dating account without paying a monthly fee. 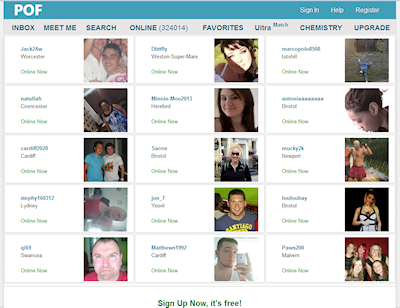 Dating website “Plenty of Fish” is one of those rags to riches stories that everyone loves to hear. It’s about one guy working from his bedroom, who took on a giant industry and won. Well sort of, at least if you define winning as becoming extremely rich. Markus Frind, the owner and creator of Plenty of Fish started from his apartment in Vancouver back in 2003. He described it as an experiment to learn a computer programming language. Little did he know at that point, that it would become one of the biggest dating sites on the planet, even gaining more subscribers than established matchmaking giants eHarmony and Match.com. So what is it that made this site so successful, and is it still a good place to meet people online? Well, first of all, PoF (as it now likes to be called) is a drastically different place to what it was 5-10 years ago. PoF opening its doors as a free site was really the key to its success. Nowadays, a free dating site doesn’t sound one bit original does it? They are everywhere right? Plus we have tons of free social networks. Back in 2003 it was a different story. About your only option for free dating would have been a seedy personal ad on Craigslist or some forum. Just about all of the dating sites back then were pay sites, and they weren’t cheap either. Yes, sort of. The good news is that you can still do pretty much everything on the site for free. The bad news: There are now paid upgrades, which essentially splits the site into two communities, free and paying. But it’s not all bad: You can still do nearly everything with a free account. Most importantly, you can message people without paying. Just about every dating site offers a free guest account. But the crunch comes when you try to make contact with someone. At that point you find you either need to buy an upgrade or give up. That’s where you have to love PoF. You can message people to your heart’s content and it won’t cost you a penny. The good news is that you can still do pretty much everything on the site for free. The bad news is there are now paid upgrades, which essentially splits the site into two communities, free and paying. If you already have an account on PoF, or are thinking of joining, the big question people often ask is “how can I be successful?“. I have many friends both online and offline who’ve used PoF (plus I have also used it myself) and whether or not they were successful in meeting people came down to their approach. If you are interested in improving your chances, read on. Firstly and most importantly, it comes down to your profile. If you’ve read my other blog posts, you’ll know this is one of my hot topics. Nowadays, with so many people online, trying to get dates with an empty or boring profile is something like sending an empty C.V. for a job application and expecting to be successful. You won’t! Photos with exes. Or people who may be mistaken for exes whatever your sexual orientation. Mobile phone shots. Especially those taken yourself with arm outstretched in front of the bathroom mirror – you know the type. Group photos. Remember, people don’t know you – they will have no idea which one is you! The number of profiles I’ve seen like this is staggering. Professional model-like photos. Sadly even if those are real you may get mistaken for a scammer and even kicked-off the site. A friend of mine, who is a professional model, had her account banned. We think most likely because she used some of her professional shots. Unlike many other sites PoF doesn’t have a photo verification service as yet, so keep the photos real and natural. Being ahead of the game can put you ahead of 99% of other daters out there and that often means the difference between success and failure. The other reason for having a good, completed profile is that most dating sites (PoF included) display profiles based on their completeness. In other words, if you have a thin, sketchy profile, it’s going to appear right at the bottom of the pile when people do searches. This is something many people completely overlook. The problem I have found with a lot of free sites is that many users are not active there. They put up a profile and then don’t visit again for months if ever, many don’t even bother responding to emails. Perhaps since they are not paying a membership fee they feel there’s no obligation to be on there all the time, checking messages and so on. So they only log into their accounts once in a blue moon. The problem with being inactive is similar to having a lousy profile. Just as the best profiles are listed first, so the most active users are given top priority in searches too. Meaning if you are only logging in once every 3 months, in all likelihood your profile is buried deep down among the other “seldom actives”, where most people can’t find it. 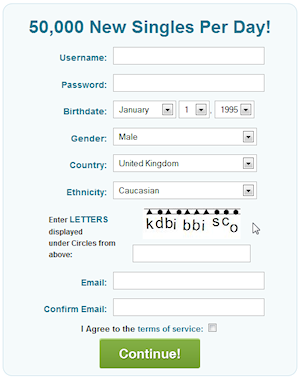 PoF also have a special user list they call, “users most likely to respond”. In other words, there are so many “in-actives” on there, that finding people who will respond is like trying to find a needle in a haystack (or more aptly a goldfish in an ocean). This by the way is one of the reasons they brought out the paid memberships. So it definitely pays to be active and to respond to emails. If you get on one of those lists, you’ll dramatically increase the amount of interest you’ll get. Just like telesales marketers and street hustlers, dating scammers are an everyday part of internet life that you’ll need to get used to and learn how to avoid. It’s staggering the number of highly intelligent people who’ve been duped by scammers. Scammers are very adept at their game and know just how to draw their victims in and play on their emotions, hopes and fears. No website is immune to scammers, but Pof which allows free messaging (and not having to verify identity through credit card or other payment) just makes things that much easier and more accessible for them. Just as in real life the scammer will attempt to draw you away from the site (where activity is logged) and other people and try to get you to focus exclusively on them. There are many different scams, but money scams and cam girl scams are common on PoF. As I’ve mentioned above, one of the main difficulties is simply finding real people who are active and will respond to you. However, following the above suggestions it shouldn’t be long before you start getting replies back and striking up genuine connections with people. At this point, I’d advise not focusing all of your hopes on one person too early on. If that person turns out “not to be the one”, you’ll have to start all over. Keep a few conversations alive, and try to get to know people first, while keeping your options open. Keep in mind that message writing can lead to a false sense that we know the other person better than we really do. Another friend of mine fell for this; she was messaging some guy for months and months. Then when they finally did meet in real life she was utterly disappointed and couldn’t understand what she “seen” in him. When communicating online we tend to build up a picture of what we want the other person to be, and not what they really are. When we meet in real life the reality often does not live up to the fantasy. Another thing I highly recommend is setting up a “webcam date” with the other person fairly early on and certainly before things get “too heavy”. There are plenty of free services like Skype or Yahoo! Messenger where you can do this easily and quickly. If the other person is genuine they will have no issues with your suggestion. If he/she refuses or keeps giving excuses like not having (or being able to afford) a webcam, my advice is “block, delete and move on”… you are most likely talking to a scammer. If you follow the above suggestions, dating on PoF can be fun and successful as well as friendly on your wallet. the only good thing is it`s free. I joined this site more then six month ago and I met different kind of people here. I like most of them but I am confused which one to chose. Come on guys I need your help. It`s a serious decision of my life. I joined PoF a few years ago, and after reading this post I am glad to hear that some things have changed about it. I’ve honestly always kind of though of it as a “creepy” site because I was definitely approached by a lot of people who made me pretty uncomfortable on it! I guess that comes with the territory, however, as I have had similar experiences with other dating sites. One thing that I do love is that you can use the service for free, and you can message others without shelling out a whole lot of extra money that you may not have. I do like the idea that you CAN upgrade if you want, however. I think that side of the site probably keeps a few of the ‘weirdos’ away. In terms of the issue of active users, I definitely agree! It was so hard to get a response out of some people…I think that deleting some of the inactive profiles would go a long way to make PoF better. I had a few dates from PoF but nothing really panned out for me until after I joined a full-pay site. I really think there’s something to be said for the pay sites separating the talkers from the real players when it comes to dating! I think that because there is an excess of dating websites out there that all offer similar features when it comes to connecting with the other users, each dating website really needs to focus on making itself unique and providing a template that will actually deliver satisfaction to the user base. Now because there are over 30 million people registered and yet only approximately 6 million are active, this does pose a problem when finding other genuine members that are actually active. Even if one does have a profile that is completely filled out, signs in every day to check messages, and has those natural looking photos that you speak of, what are the chances that this said profile is going to pop up more or less over others who are being just as active? I understand that the idea of a paid membership to this type of website allows you to have a whole bunch of extra features, like being highlighted in searches, which in turn allows you to have a more active and possibly more positive experience on the site. So from what I am understanding is that there is a bit of a hierarchy system going on where the paid members get more exposure, while those who are active are in the middle ground and the rest of the in-actives (or every three month logins) are buried at the bottom of the pile? This is a good system for those who want to pay for it and get results, and great for those who are inactive as it weeds them out… but what about the middle ground who use the site for free? I am curious as to what percentage of exposure that they receive from the website? I guess it really depends on how much they put themselves out there – more time spent on the website, more possible exposure to others. Overall, I think that it is absolutely wonderful that those who are not paying but using the website for free are allowed to message others without having to pay a fee. 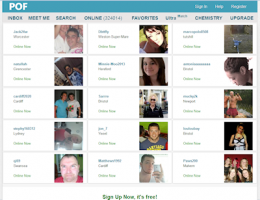 I think that this the main feature that probably makes Plenty of Fish so popular and perhaps may be the only feature that allows those who are using the system for free to have the opportunity for success at meeting others. As for the scammers, I would have to agree that if they provide any type of excuse it is better to not waste one’s time on them. The site is about meeting real and genuine people and I would rather see people spend their time on legitimate daters then those who are just going to cause pain. I think it is also really hard to not build up a person and their potential qualities when meeting someone on-line. We just have to remember to keep an open mind when meeting them in person, and try to remain objective until you hit it off in the outside world. 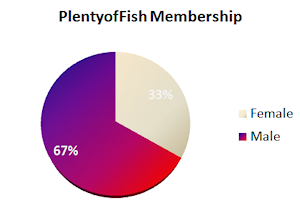 Perhaps Plenty of Fish should put a system in place where after two months, if a member has not been active, their profile becomes commissioned for deletion? Just a thought.